Simple in shape yet full of personality, the triangular Medal hangs as well in a chic living room as it does in a cosy bedroom—an elegant insight into illumination. 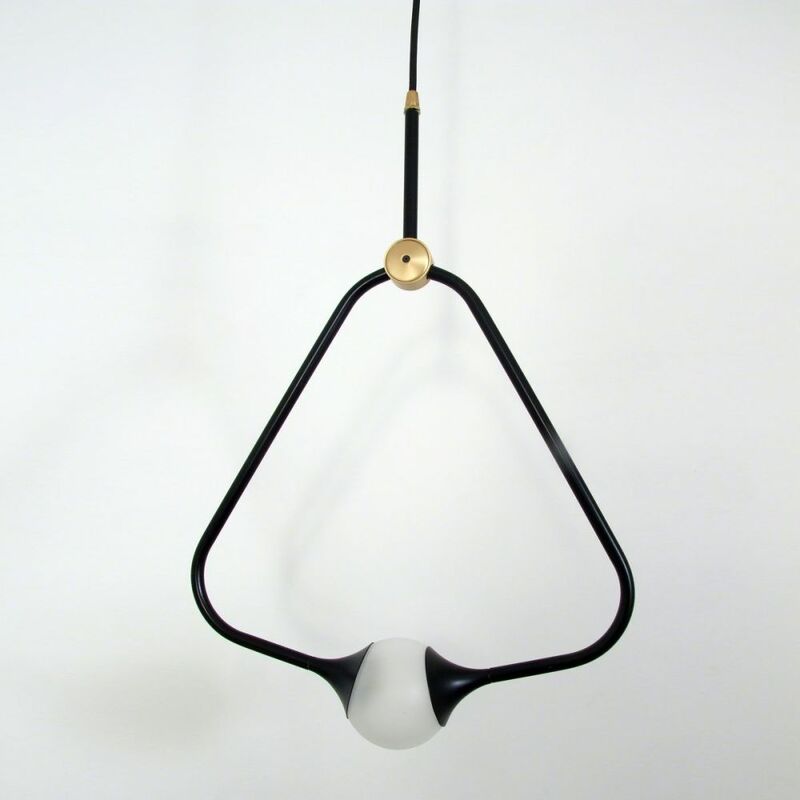 The Bullarum Medal pendant lamp is composed of a hand-blown glass globe in a black-painted brass frame, with a circular brass accent. This lamp we will hand over to the courier within two days.